In our constant endeavour to bring the best parenting tips to you, we are happy to introduce Parentous Infographics. We highlight some of the informative posts from our contributors and create visuals out of them for our readers to use. 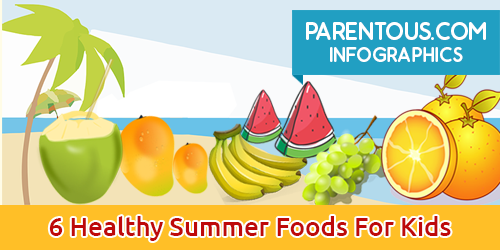 Our very first infographic, Healthy Summer Foods For Kids, is based on the article written by Swarnam John. When The Invincible Mum Is Sick!